The company has been embroiled in controversy for weeks. Amid mounting accusations that data firm Cambridge Analytica misused the Facebook data of up to 50 million user profiles, the U.K.-based firm and its top executives are now also under fire for alleged violations of U.S. election laws. 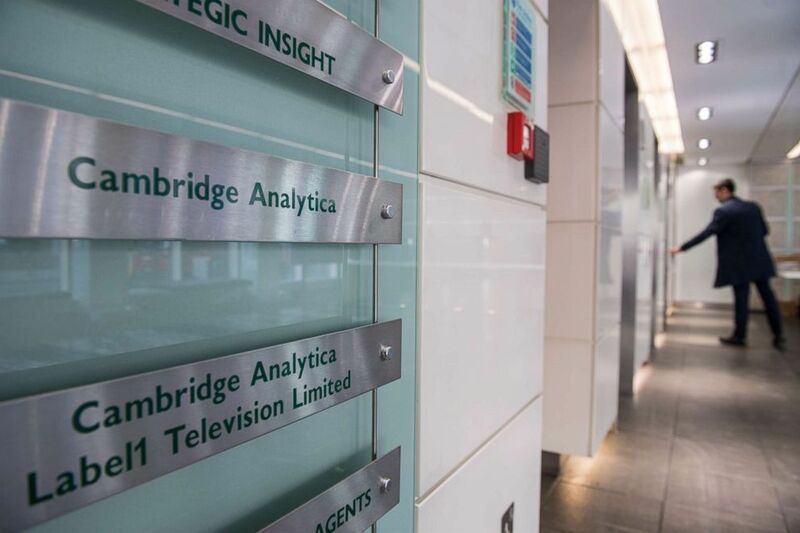 (Chris J Ratcliffe/Getty Images) Signs for the company Cambridge Analytica in the lobby of the building in which they are based in London, England, on March 21, 2018. UK authorities are currently seeking a warrant to search their offices after the company has been involved in a dispute over its use of Facebook data. The Trump campaign paid Cambridge Analytica nearly $6 million for services during the 2016 election cycle, according to data from the FEC. Seventeen other Republican political organizations, including Ted Cruz's presidential campaign and a super PAC headed by incoming National Security Adviser John Bolton, also paid the firm a combined $16 million for services that included research and micro-targeting of voters, government records show. The complaints cite a New York Times report of an alleged memo dated July 22, 2014 from lawyer Laurence Levy, then at the firm Bracewell & Giuliani, to GOP megadonor Rebekah Mercer, former Trump adviser Steve Bannon and the now-suspended Nix. The memo warns them that foreign nationals “may not play strategic roles” in U.S. political campaigns, including giving “strategic advice,” but that foreigners can still “act as functionaries that collect and process data” as long as the final analysis of that data is conducted by U.S. citizens. 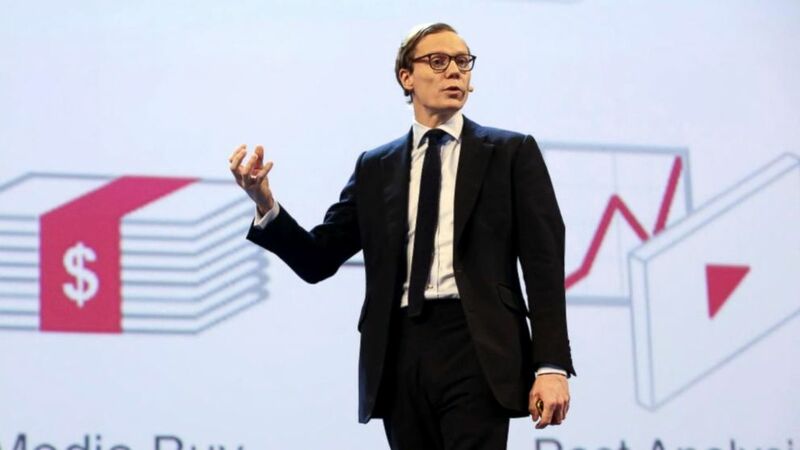 The chief executive of Cambridge Analytica was caught on camera apparently admitting it targeted political candidates with dirty tricks. Levy suggested at the time that as a foreign national, Nix should recuse himself “from substantive management” of clients involved in U.S. elections, according to the complaints. Common Cause is calling for both the FEC and the Justice Department to investigate any potential election law violations and impose appropriate sanctions and restraints. Cambridge Analytica has repeatedly denied any wrongdoing involving accusations of collecting data from millions of Facebook profiles without knowledge and issued a statement to that effect last week. The company did not immediately reply to requests for comment from ABC News about the newest claims of alleged violations of U.S. election laws.